Made for dinner parties, picnics, or even low-key nights in with friends. 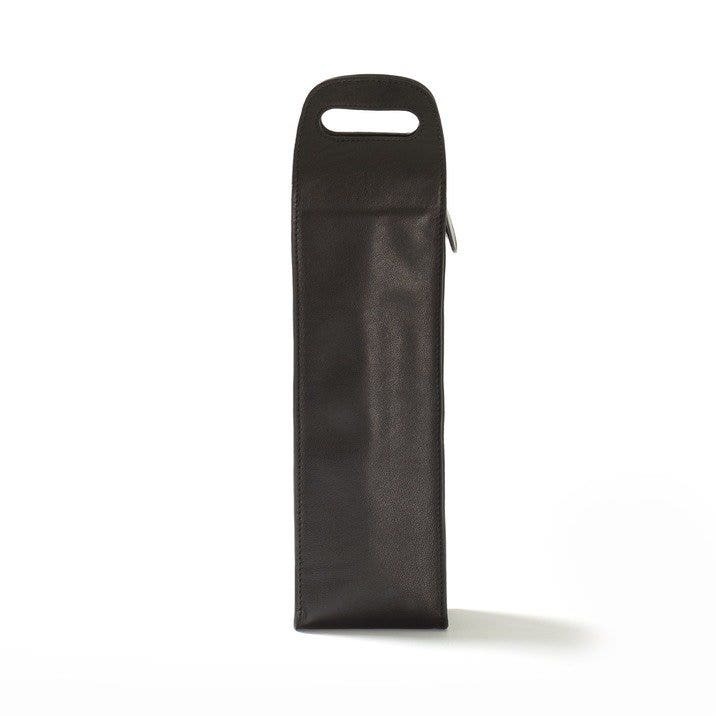 This leather wine carrier has a water-resistant, padded interior that keeps your wine insulated on the move - perfect for when you want to take your bubbly straight out of the fridge and go. Handles at the top make it easy to tote your wine along with you worrying about warming the bottle with your hands. Now all you have to do is pick which wine will go inside. I received the wine carrier well packaged and ready to gift. Superb quality. I had it monogrammed which added a special touch and richness to the carrier. All it needs is an equivalent rich tasting bottle of wine. Love it. Arrived promptly - I give it 5 Stars! This will make a great gift. The quality of this Wine Carrier from the leather, interior lining and stitching are very good. I just wished there were more color options available for the personalization. This leather wine carrier is made of excellent quality leather; looks impressive while toting a fine bottle of wine into a restaurant! My husband is very pleased with his gift! The black leather looks very sharp and handsome. We gave this wine carrier to one of the readers from our wedding. It's really nice quality and large in size. Put you favorite bottle of wine inside and it makes the perfect gift for someone! And as always, the packaging from Leatherology is top of the line. Convenient,Much nicer than a paper bag!,!